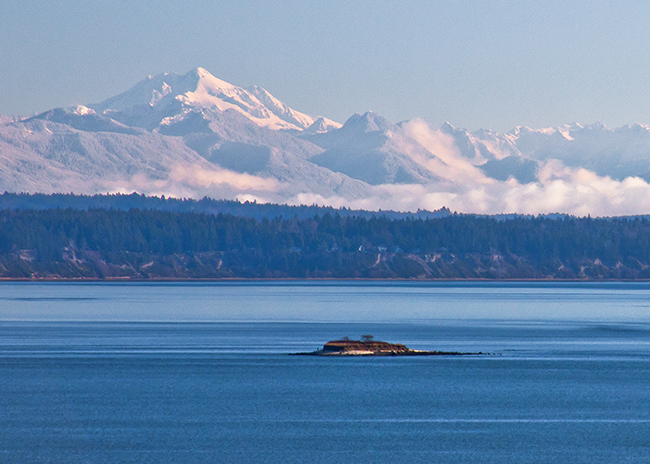 Do you know who Whidbey’s king and queen of trash are? 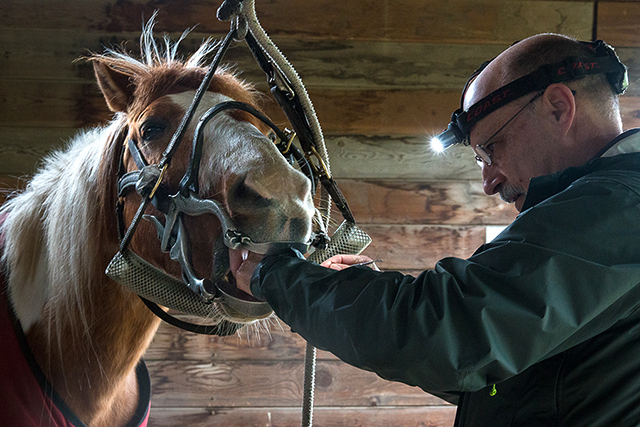 Have you ever wondered how to get a horse out of a bathtub? Do you know who designed the home on the hill that you’ve always dreamed of living in? 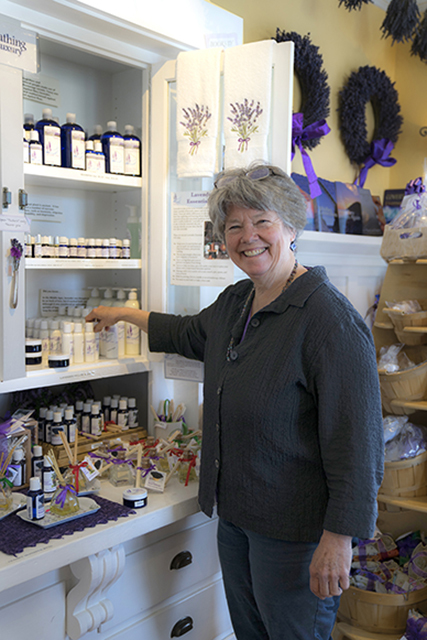 And what’s the secret to the amazing scones at that shop in Coupeville on the corner of Coveland and Alexander? 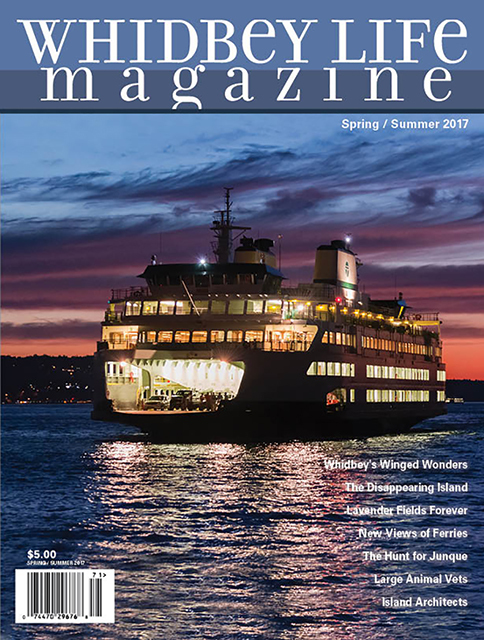 You’ll find the answers to these and other questions in the Spring/Summer 2017 print edition of Whidbey Life Magazine, which was delivered to the island today. To get your copy by mail, subscribe online, or pick up a copy at these on-island retailers this weekend. For a sneak peek at this issue’s contents, scroll on. 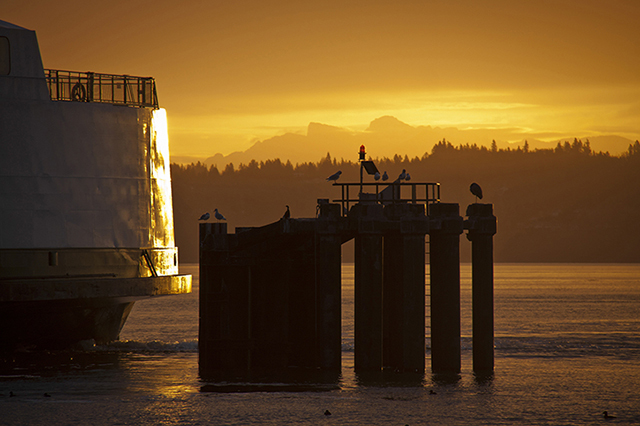 After waiting in a ferry line for hours, photographer Holly Davison finally made it to the ferry lot, grabbed her camera, jumped out of her vehicle, and captured this photo of the ferry coming into the dock. 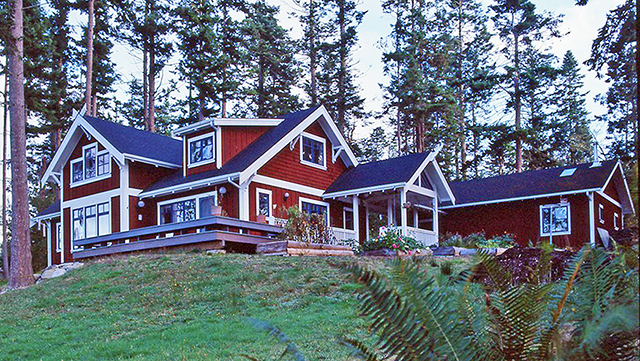 Is there a style or type of house that represents the quintessential Whidbey Island home? Does the influence of place exert a unifying effect? Or any effect at all? Writer Tom Trimbath interviews four island architects — Stig Carlson, Ross Chapin, Mira Steinbrecher, and Matthew Swett — about their notions of residential design and how the spirit of place shapes their aesthetic. As we travel from one shore to another on our ferries, it’s easy to take for granted the sights along the way and lapse into the habit of not seeing what’s all around us. We’re especially grateful to our island photographers — their heightened sensitivity to details, angles, perspective, and light — who help us refresh our vision and boost our appreciation. In a photo essay about crossing the water, they present our familiar and beloved ferries in a way you may never have seen before. When artists apply their creative minds and skillful hands to what the rest of us might consider trash, the results can amaze. 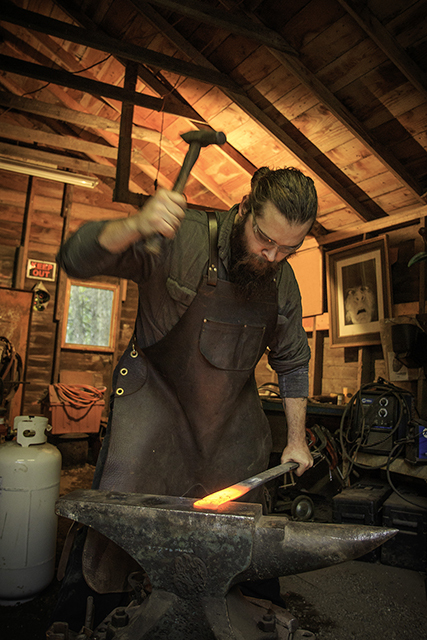 Join writer Kate Poss and photographer David Welton as they follow six artists on a scavenger hunt at Island Recycling, an emporium of castoffs. Along the way, meet the reigning couple of recycling; their perspective on “junque” is sure to amuse you. The agricultural history of Whidbey, combined with our affinity for animals, has produced a flourishing population of horses, cows, sheep, goats, llamas, and other “four-footeds.” Writer Harry Anderson and photographer Marcia Wesley introduce you to the folks who care for our working animals, livestock, and barn-resident pets. The stories from our large-animal veterinarians will have you laughing and perhaps nodding your head in recognition. Most everyone appreciates bees for the honey they produce, but they also produce wax, propolis, “bee bread,” and royal jelly. 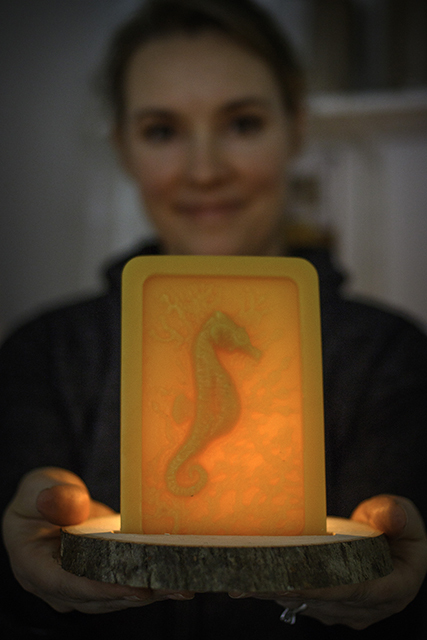 Meet some Whidbey Island artists who use beeswax for lanterns and encaustic painting, an artisan who uses it for making candles, and another who uses honey for making soap. An eight-foot high acre of land floating in the mouth of a harbor might not sound like much of a destination, but Tom Trimbath’s exploration of Baby Island will have you longing to walk its clamshell-strewn beaches. This small bit of land has a long and storied history in which rum-running, poker, and impossible schemes play a part. Even if you never manage to set foot on Baby Island, our spectacular scenic photographs and historical snapshots will bring it to your doorstep. 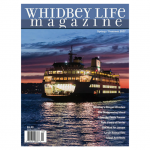 Whidbey Life Magazine online congratulates the print team for a job well done: managing editor Dianna MacLeod, graphic designer Claire Moore, photo editor and photographer Marsha Morgan, photographers David Welton and Marcia Wesley, and writers Harry Anderson, Shawn Berit, Kate Poss, and Tom Trimbath.